Hundreds of brave participants will paddle and push their home-made rafts through torrents of river water from Buckfastleigh to Totnes on Sunday 5 October for the annual River Dart Raft Race in what is expected to be the event’s biggest ever turnout of two to three thousand participants and onlookers. Organised by the Rotary Club of Totnes as a fun way of raising funds for local charities, the River Dart Raft Race or “River Dart Struggle” has been a popular local event for many years. 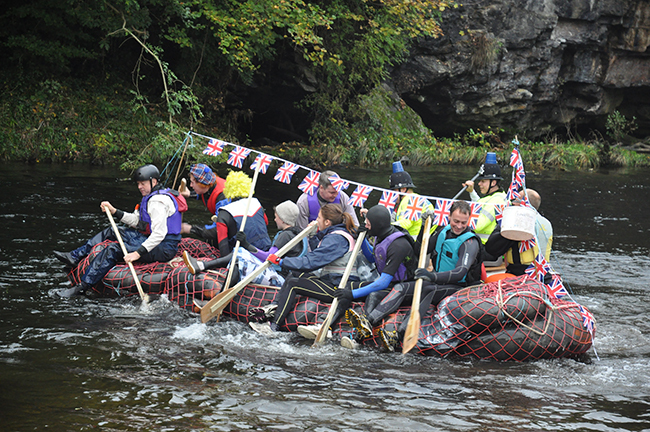 Up to 100 rafts, carrying 700 to 800 people between them in two to ten-man teams, are anticipated to take part in the much enlarged 2014 event which is now OPEN for entries. Some of the best views of the racing rafts going down the River Dart can be had from the adjacent South Devon Railway (SDR), so the railway has teamed up with the Rotary Club and will be running steam trains the same day. Local people and visitors alike will be able to enjoy grandstand views of this year’s expanded ‘River Dart Struggle’ from the comfort of the SDR’s warm, steam-heated trains moving down the valley, offering a moving vista of the action and fun on the water, plus the chance to cheer on the soaked, intrepid rafters. 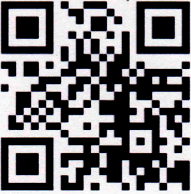 Further details and contact information for local Rotary officials are on the downloadable poster.